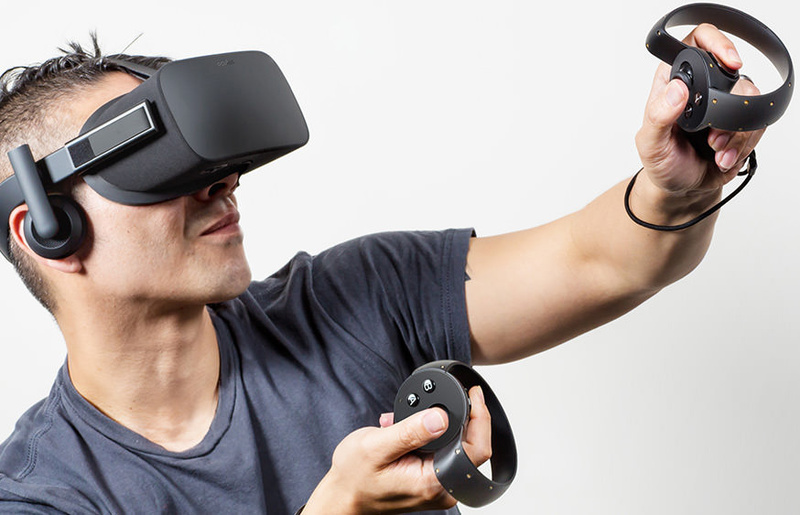 As we all know the VR industry is at a point where the technology is a bit more stable and developers are creating native VR experiences that take full advantage of the medium, with games leading the way. Fans of nearly every genre have excellent choices and should find a couple of games of interest in our top picks. We wrote an extensive guide on the top VR Headsets of 2018 and we believe you should read that article as it gives you deep insights on why should get those vr headsets in 2018. The Best VR Games can be found on my list of Best VR Games for 2018 below, totally captivating, very addictive with guaranteed fun. Trust me when I say this, once you start playing games like this, you will not regret trying the games. These VR games are full of life, action, adventure and even a little puzzle to make things a whole lot interesting. 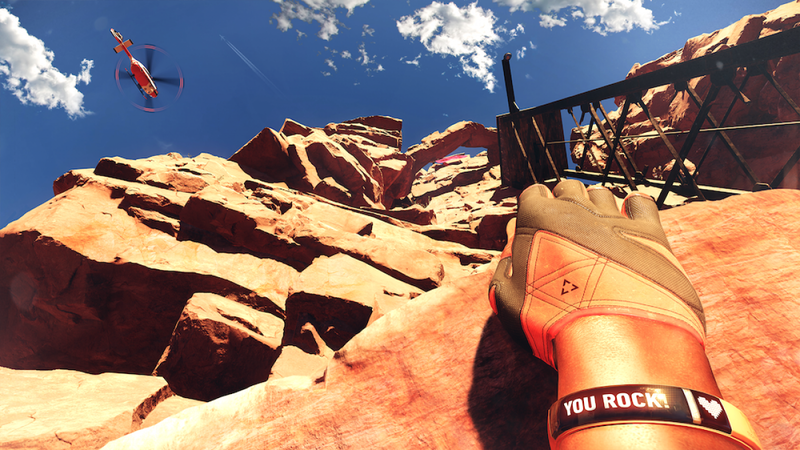 About The Climb: The Climb is a first person virtual reality video game, developed for the PC by Crytek in partnership with Oculus VR. It was released on the Oculus Home on April 28, 2016. In the game, the player's objective is to climb stone walls to the top of each of the stages that are presented. The Climb currently features two climbing environments, the Bay and the North. Per The Climb’s site, the Bay is roughly based on Vietnam's Halong Bay, while the North takes inspiration from the Arctic Circle. Whichever locale you choose, Crytek’s engine is capable of creating breathtaking vistas. About Keep Talking and Nobody Explodes: This is a video game developed by Steel Crate Games released in October 2015. The game tasks a player with disarming procedurally generated bombs with the assistance of other players who are reading a manual containing instructions. 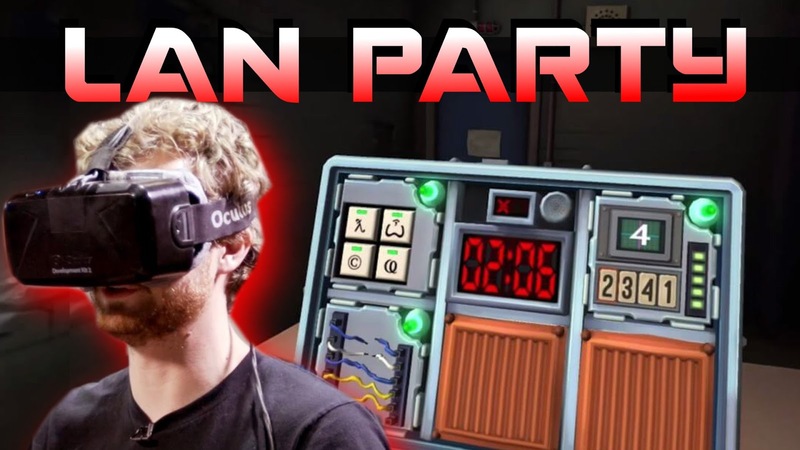 Keep Talking and Nobody Explodes is the perfect multiplayer game to put your friendships to the test, forcing you to communicate and collaborate with each other to defuse a complex bomb. In this game, players are split into two groups: one Defuser and several Experts. Defusers can see and examine the bomb, but cannot access the manual. Experts can read the manual, but cannot see the bomb. Players must exchange information, guide each other through defusal steps, and keep track of progress if anyone wants to make it out alive. Keep in mind that bombs have a countdown timer and will explode if you make too many mistakes along the way. About Robo Recall: This is a virtual reality first-person shooter game developed and published by Epic Games for Microsoft Windows. The game uses the Oculus Rift virtual reality headset, and was released on March 1, 2017. Robo Recall is an action-packed gallery shooter designed for use with the Oculus Touch controllers. 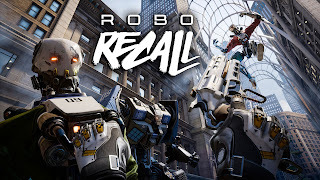 In the midst of a robot uprising, you must take down all the enemy combatants with a variety of weapons (as well as up-close combat) as a new member of RoboReady’s Recall Department. If you want to survive the game’s increasingly difficult challenges, you need to stay focused in the face of the autonomous onslaught. About Beat Saber: Beat Saber is a 2018 virtual reality rhythm game created by Czech-based indie studio Hyperbolic Magnetism in which the player slashes blocks representing musical beats with a pair of energy blades resembling lightsabers. As the music plays, Beat Saber generates different patterns of color-coded blocks on the screen that you must hit with the correct controller (right or left) as they slide towards you. Obstacles also appear at times that require you to duck or slide away. 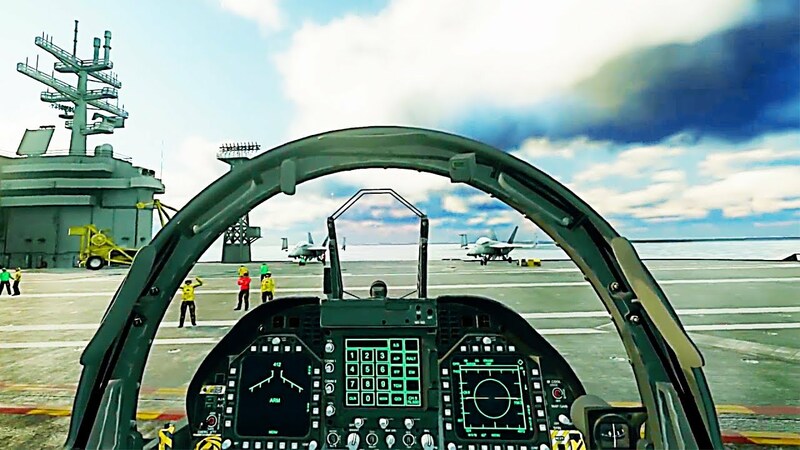 About Ace Combat 7: The Ace Combat 7 Skies Unknown is an upcoming combat flight action video game developed and published by Bandai Namco Entertainment. 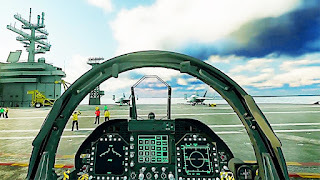 An entry in the long-running Ace Combat series, it will be released for the PlayStation 4 and Xbox One in January 2019, and for Microsoft Windows the following month. About Bebylon Battle Royale: The Battle Royale Arena, is where the action happens. Since the tiny immortals can't die, multiplayers battle to be the biggest baller in Bebylon. The world needs more fighting babies. 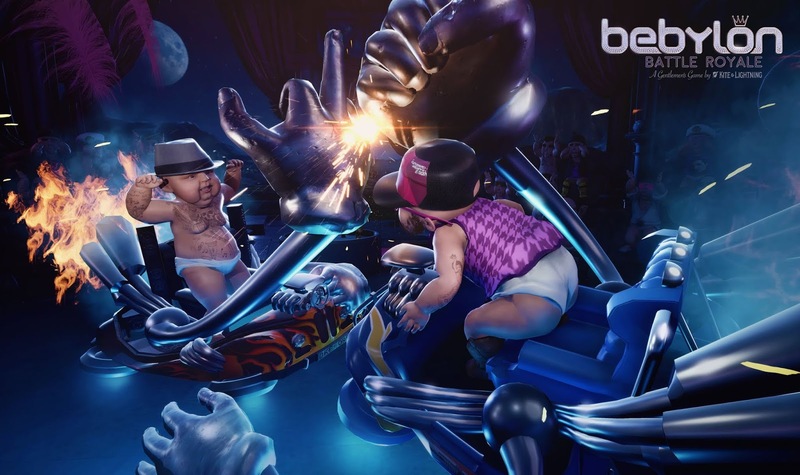 To provide this insatiable need for post-natal, pre-toddler carnage, the immensely capable VR studio Kite & Lightning are developing a VR melee party brawler that puts ridiculously dressed infants into kart-based Smash Bros-style combat. 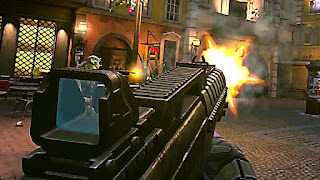 About Bravo Team: This online 2-player co-op strategic shooter will force you to take cover as you make your way across a war-torn fictional Eastern European city. 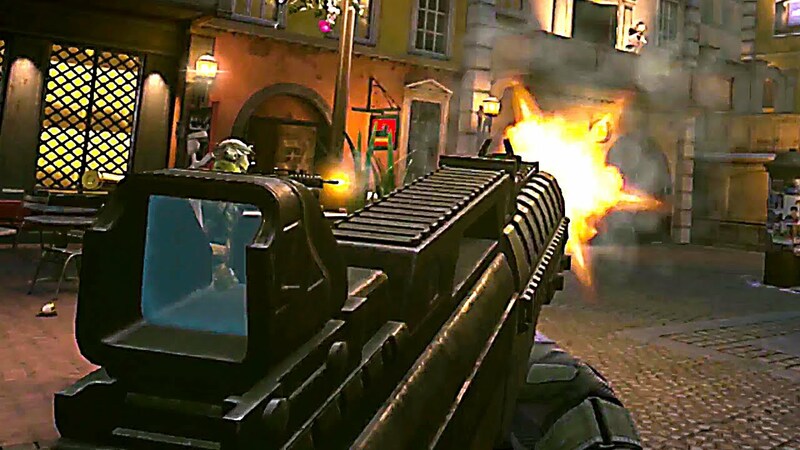 While you won’t get the free-wheeling locomotion options like many shooters, instead giving you a sort of ‘on-rails’ point-to-point automatic movement, the strength and amount of enemies will make you think twice before selecting a cover position for fear or getting shot to bits by a machine gun-welding baddies. 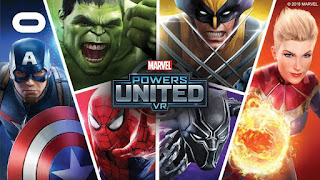 About Marvel Powers United VR: This is a first-person Co-Op action game in which you take on the role of Marvel's powerful Super Heroes, choosing from an epic roster of characters from Black Panther and Hulk to Captain Marvel and Rocket Raccoon. 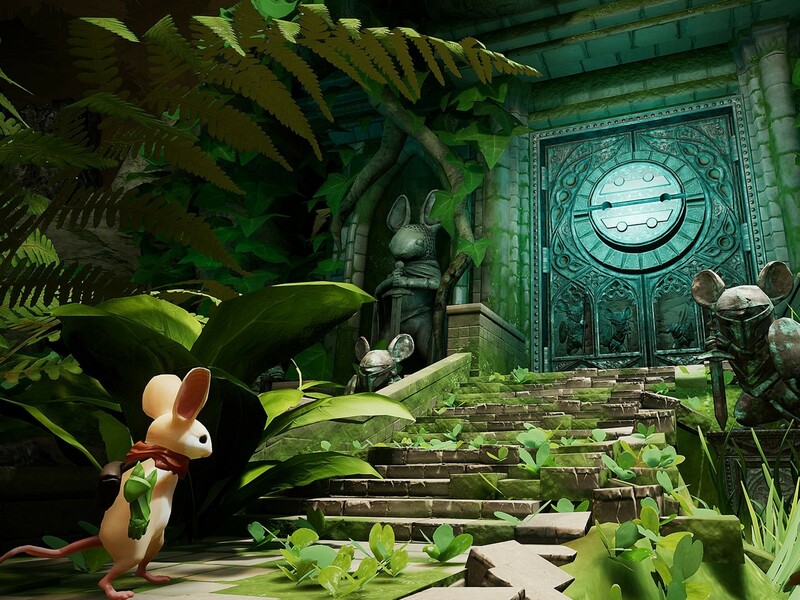 About Moss: This is an action-adventure puzzle game from Polyarc tailor-made for the VR platform. It combines classic components of a great game—compelling characters, gripping combat, and captivating world exploration—with the exciting opportunities of VR. Moss gives you control of the small but fierce mouse named Quill. With a tiny sword in hand, you vanquish pint-sized enemies as you solve large puzzles. There’s a free demo available already on the second PSVR demo disc, so there’s no reason not to fall in love with little Quill already. 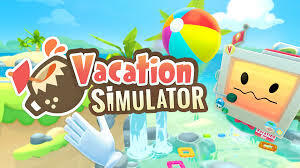 About Vacation Simulator: The Vacation Simulator was announced at this year’s Game Awards, Owlchemy Labs’ Vacation Simulator is following in the footsteps of its breakout multi-platform success Job Simulator (2016). While it’s unsure if the tongue-in-check simulator style will find the same level of launch day success its spiritual predecessor, we’ll be there ready to play to see if it tickles our collective funny bones. EVE: Valkyrie-Warzone, Farpoint, Minecraft VR, Project Cars 2, Rez: Infinite, Space Pirate Trainer, Subnautica, Superhot, The Lab, The Elder Scrolls V: skyrim VR Edition, The Tales Principle VR, Arik Park, Brass Tactics, Budget Cuts, Echo Combat, Firewall: Zero Hour VR,Golem, Windlands 2, Transference, The Impatient, Star Child, Sprint Vector, Space JunkiePixel Ripped 1989 and Megalith. Learn from the best, try out one or more of our Best VR Games of 2018 and be ready to be thrilled. 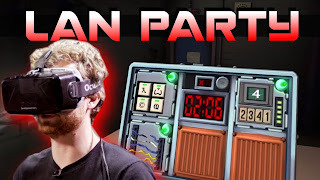 There is absolutely nothing as fun as playing a cool VR Game. 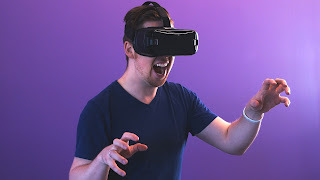 In my list, there are a lot of games that I have picked, out of the many VR games available. VR Tips Today have thereby narrowed it down to just 10 Best VR Games of 2018. Take a pick from my list and you can never be disappointed. What do you consider as your very best VR Games of 2018?